Meet Pete at a Home Show Near You this Spring! Pete is speaking at two home and garden shows this spring: one in Evansville, Indiana, and one in Columbus, Ohio. He would love to see you there! 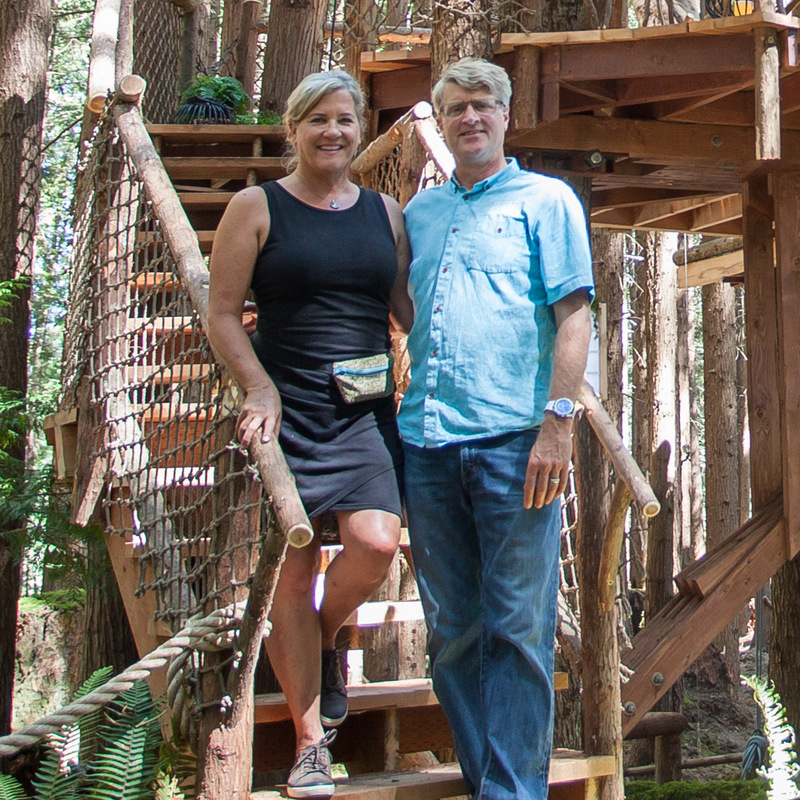 Watch how our Orcas Island treehouse came together in our time-lapse video of the build. Of all the ways to get to a treehouse, suspension bridges are arguably the most fun. We're breaking down the techniques we use to build our bridges—join Charles Spitzack as he walks you through the design and build process in this video. "Idyllic" is an apt description for the treehouse we built on Orcas Island during summer of 2016. See how it all came together in our time-lapse video of the build. As December draws to a close, I’d like to take a moment to reflect on the year. And what a year it has been! We rounded up the crew and headed down to the 2017 World Treehouse Conference. Read on for our recap of bonding and learning with the creative community of global treehouse-builders! LAST CHANCE to register for the 2017 World Treehouse Conference!